Ca' Bauta is a few steps away from Campo SS Giovanni e Paolo, one of the venetian areas with most scenographic appeal, thanks to the renaissance façade of the Scuola Grande San Marco, the equestrian statue of Bartolomeo Colleoni made by Andrea Verrocchio and the impressive gothic building, Basilica dei Santi Giovanni e Paolo, enshrining the remains of venetian nobles and dogi (heads of the city state republic of Venice). It is the perfect starting point to begin to know Venice, unique place where there is no order in visiting and exploring, a never-ending collection of art treasures, surprising glimpses and stunning echoes of history and tradition. A short walk through the typical narrow streets of Venice leads to Piazza San Marco or Ponte di Rialto, getting across Campo Santa Maria Formosa with its 14th century church. 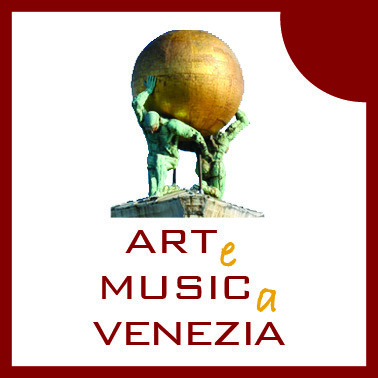 On the other side, a ten minutes walk through the typical area Sestiere di Castello, leads to the Arsenale di Venezia, nowadays one of the two main art and architecture exhibition sites of the Biennale di Venezia. The public water transport (Vaporetti)stops are very close and guarantee constant and fast links to the railway station Venezia Santa Lucia and the airport Marco Polo VCE, or to the islands of the lagoon like Murano with its famous glass fabrics, Burano with its colored houses and typical lace works and Torcello where you can admire the venetian-byzantine style basilicas. In the square leave the canal behind and the church to your left an walk along Salizada San Zanipolo (or also called Barbaria Dele Tole). 150 meters further there is a florist and on the right the street Calle Muazzo. Ca' Bauta is a few meters along Calle Muazzo (the doorbell is on the outside, the one on the top). 24 hours (18 Euro), 36 hours (23 Euro), 48 hours (28 Euro), 72 hours (33 Euro). Transfers to the airport are not included and organized by the private company Alilaguna. Due to the fact that the cost of a single ticket is 6,50 Euro, daily passes are extremely convenient. Suggested: Alilaguna boats (Linea Blu-Blue Line direction San Marco) until the stop Fondamente Nove (ca. 40 minutes of journey). The information desk is at the airport. The boats run regularly until 00.10 am, the cost is 13 Euro per person. Get off at the stop Fondamente Nove, go to the left for 200 meters until you reach the bank of a canal called Fondamenta dei Mendicanti. Following it until the end you arrive at Campo SS.Giovanni e Paolo. From the square San Giovanni e Paolo, follow the directions given above. Even if there is a certain waiting time at the airport, it is convenient to wait for the boat stopping at Fondamente Nove, otherwise the journey could be substantially longer. Alternatively: Bus from the airport until Piazzale Roma. From Piazzale Roma follow the directions given later in this section. Shuttle bus until Venice, Piazzale Roma. From Piazzale Roma follow the directions given later in this section. Until 23.15 catch waterbus number 42 or 52 and stop at Fondamente Nove. Go to the left for 200 meters until you reach the bank of a canal called Fondamenta dei Mendicanti. Following it until the end you arrive at Campo SS.Giovanni e Paolo. From the square San Giovanni e Paolo, follow the directions given above. from Piazzale Roma or the railway station catch waterbus number 52 (only number 52) and get off at Ospedale, the stop after Fondamente Nove. In this case, Ca' Bauta is just on the other side of the block. Getting off at Ospedale, turn left until the end of the bank, right, after 50 meters right again. After another 50 meters, on the left, there is Calle Muazzo (at the corner you will see a florist) where you will find Ca'Bauta. After 23.15 catch waterbus number 1 or N (Night bus, after midnight) until the stop Rialto. From there turn left until you get to the bridge and turn right reaching a small square(San Bartolomeo). I In front of you, left from the pharmacy and the restaurant, catch Sottoportego della Bissa and continue to follow Salizada San Lio straight on for 200 meters. The last but one street on the left is Calle del Mondo Novo which leads to the square Santa Maria Formosa. Hotel Scandinavia is in the middle of the square, in the corner you will find Calle Longa. Follow the street and catch the 4th street on the left (there are directions to the Hospital) and you arrive at Campo San Giovanni e Paolo. From there follow the directions given above. From there you can get to Ca'Bauta in a 30 minutes walk. It is a nice stroll, though not convenient if you have heavy luggage because you will encounter some bridges on the way. La passeggiata è bella ma ci sono diversi piccoli ponti lungo il percorso, sconsigliato quindi a chi trasporta bagagli pesanti. Cross the new steel and glass made bridge over the Canal Grande, pass by the railway station and continue straight on along the street called Lista di Spagna. Exit the station and turn left to the street Lista di Spagna and go straight on, following the stream of people. After 20 minutes you arrive in a small square called Campo Santi Apostoli where you have to turn right. Turn right again and you will find the directions to Campo San Giovanni e Paolo or the Hospital, located in the same square. From the square follow the directions given above. Ca' Bauta can be reached also with Water taxis from every part of Venice, the Airport, the railway station or Piazzale Roma. You will find the peers along the canal. The average cost of the water taxi varies from 60 to 100 Euro.